No, LG’s new speaker, dubbed PJ9, isn’t using the Force to levitate. It’s using good old fashioned electromagnets to keep it suspended in the air. The Bluetooth device was unveiled ahead of its official debut at CES next month, where we’ll hopefully to see the speaker in-person. 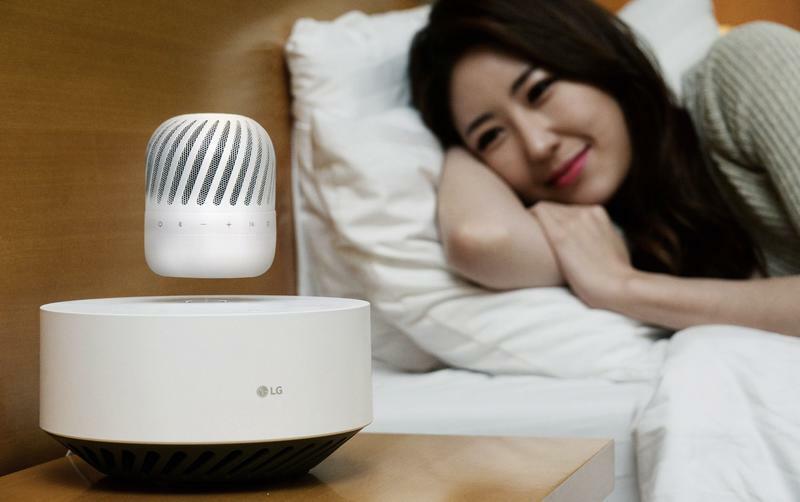 This isn’t the first levitating speaker we’ve seen, so what makes LG’s any different? In addition to a clean, all-white color scheme, the portable speaker reportedly gets ten hours of battery life. Well, how does it charge? Get this: When it’s out of juice, the speaker will descend onto the base for charging, sort of like a spacecraft docking with the International Space Station. “At the core is a 360-degree omnidirectional speaker with turbine blade-inspired design and deep bass courtesy of the subwoofer embedded inside the Levitation Station,” LG said. The base of the speaker, by the way, acts as the subwoofer, while the speaker features Dual Passive Radiator technology. The PJ9 is also IPX7 compliant, according to LG, so you can use it while camping without fear of getting it wet. 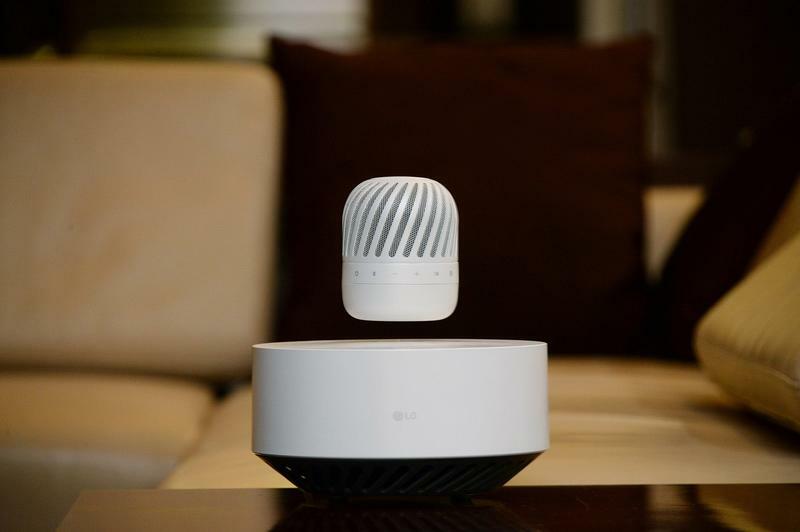 LG’s new levitating speaker sure looks cool, but how does it sound? My guess is: not very good, but we’ll find out next month when it’s shown off at CES.